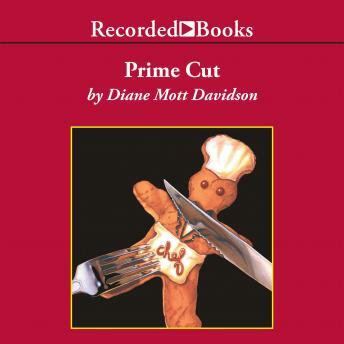 Known as "the Julia Child of mystery writers," Diane Mott Davidson cooks up gourmet culinary mysteries sure to please the most discriminating palates. Mystery connoisseurs relish her elaborate plots and fast-paced action amid scenic Colorado settings. The luscious recipes included at the end are icing on the cake. Caterer-turned sleuth Goldy Schulz has an unbelievably chaotic life, but she is uncommonly determined. Even a ruined kitchen and a cutthroat competitor can't stop her from solving grisly murder cases or dishing up a tantalizing stream of appetizers, entrees and desserts. When the general contractor who botched Goldy's kitchen remodelling job turns up dead, and a publicity-hungry DA tries to pin it on Goldy's dear friend, the ingredients don't add up. It is up to Goldy to uncover the perfect recipe for murder. Davidson is the New York Times best-selling author of The Grilling Season. With Barbara Rosenblat's zesty narration, this tasty catering mystery becomes a veritable literary feast. I read this book a few years ago. I did not realize that until I had started listening to it on this site. I so enjoyed not only the story but I really enjoyed listening to the narrator that I listened to it until the end.